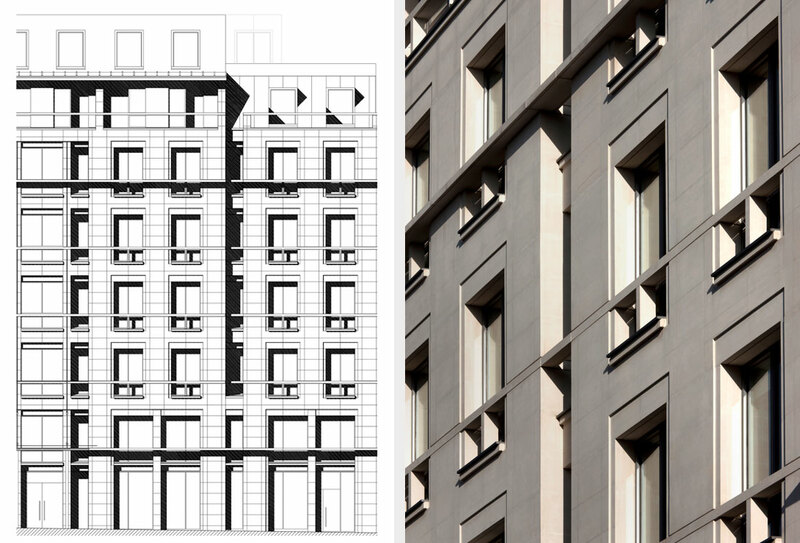 With a facade designed by Ian Orr, this project understands the urban design of historic Hanover Square and the manners and language of Georgian plot widths but uses it in much a bigger scaled building. But the real challenge is that it reflects Westminster policy and is a true mixed-use building with apartments above office accommodation. 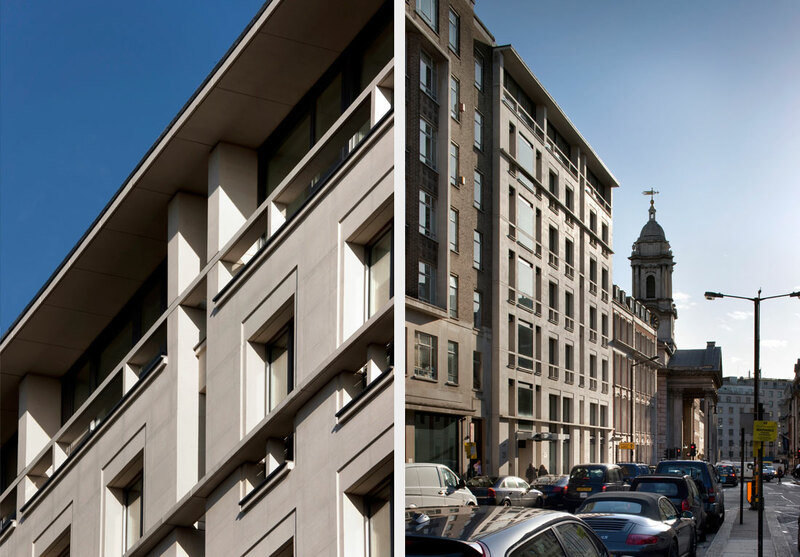 Using the knowledge of residential architecture in city centres and in particular Westminster we managed to find a core and fire engineered solution which made this project viable. 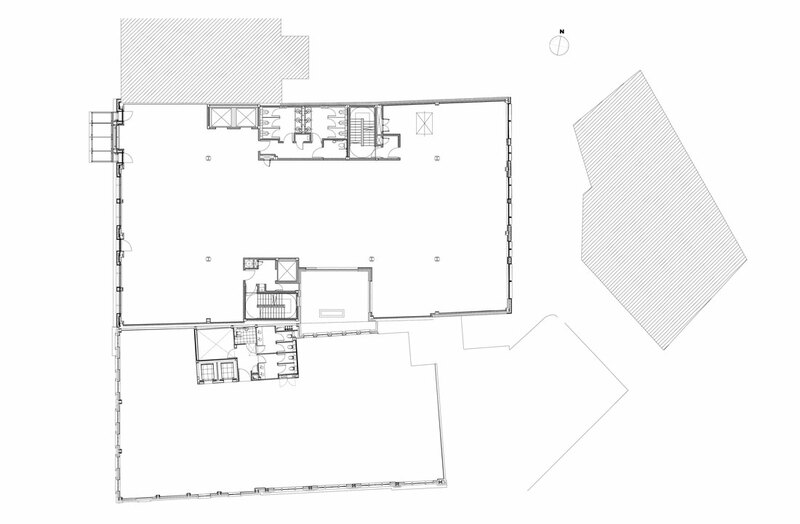 Each use has its own access and car park to the rear yet the lower levels are unmistakably offices; the residential being on the upper floors where they can have roof terraces and balconies. 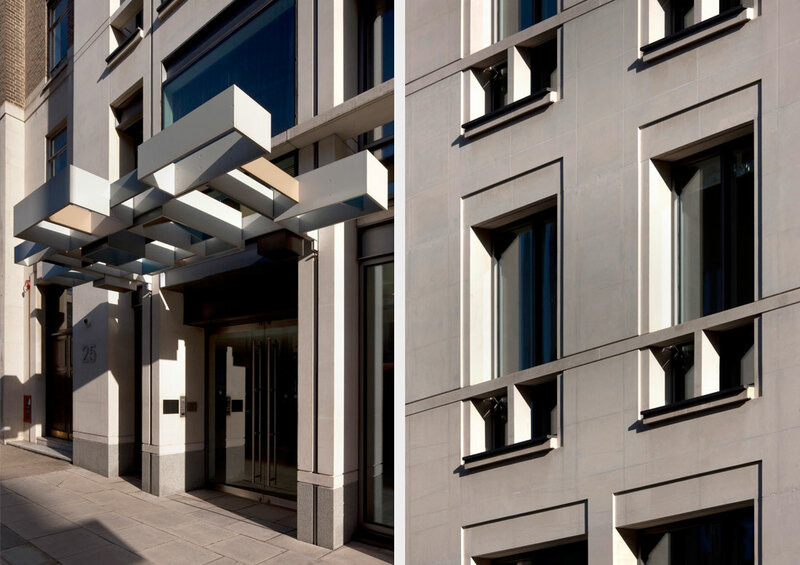 The facade is of precast panels with Portland Stone and anodised aluminium windows and fittings. The composite and proportioning system merit study as a contextual response to setting and historic neighbours without descending into the glib and derivative. 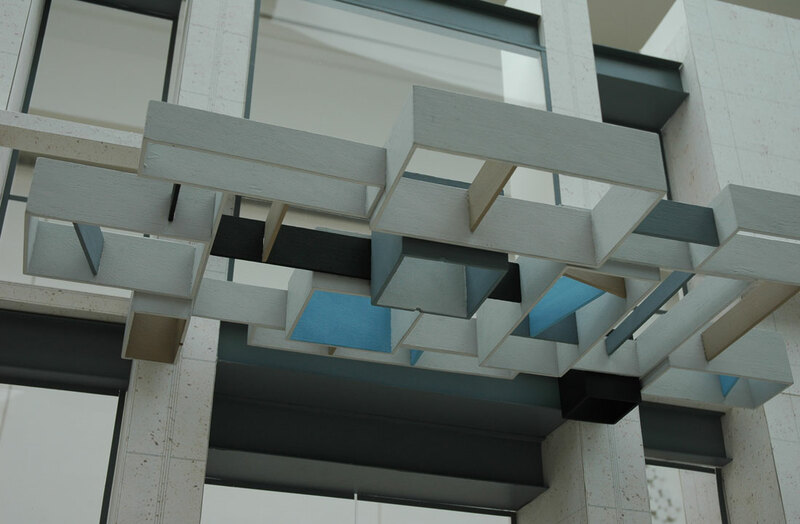 One very important part of the commission was the integration of art as the ‘canopy’ by artist Andy Miller.